As 2018 draws to an end, we thought we’d re-share each film as part of our own commemorations. The poem inspiring the series as a whole is Does it Matter? by Siegfried Sassoon (shown by kind permission of the Estate of George Sassoon). The series starts with Resemblance by Claire Cunningham. Assembling a crutch as a soldier assembles a gun, she enacts a ritual that mirrors the act of creating a weapon of destruction while actually creating an object of support. Then Ghosts by Simon Mckeown. Simon’s motion capture animation follows a multinational cast of disabled veterans as they prepare for the day in a landscape filled with the artefacts and objects of World War I. Followed by Oh! What a Lovely, Lovely Ward by Katherine Araniello. Katherine turns sentimentality on its head in a playful and absurd re-imagining of a wartime hospital where the wounded and war-damaged wait to have their morale lifted by Matron. Then Breathe Nothing of Slaughter by Tony Heaton. Tony examines the potent symbol of the war memorial and the reality of war. Heroic, Adonis-like bodies are set in stark contrast to images of blackened faces and malnourished and broken bodies. The final film is Soldiering On by Jez Colborne. 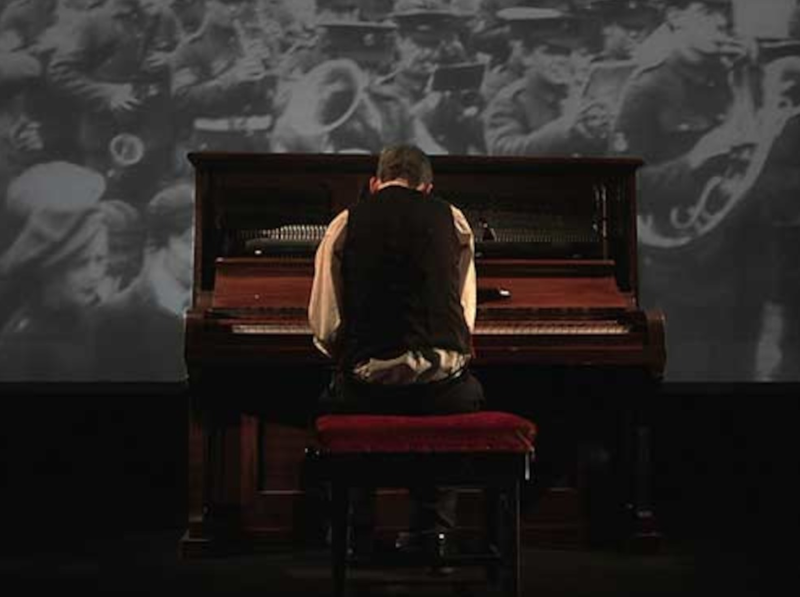 Jez’s song explores his fascination with the pomp and ceremony of war, an experience he’s locked out of because ‘learning-disabled people don’t go to war’, made in collaboration with Mind The Gap. All were all produced by Artsadmin and creative film producers Xenoki and supported by Unlimited.